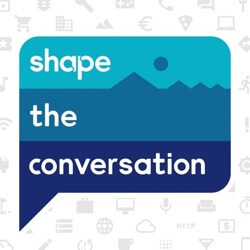 Nicole and Jon break down BuzzFeed's report on ad fraud in this episode of Shape the Conversation. Every day users are seeing hundreds on ads while they surf the internet, search on Google, scroll through Facebook, even playing simple games. There is no saying how many of the ads that are seen are fake or real. A Buzzfeed article. , written by Craig Silverman, sheds some light on one major act of ad fraud that took millions of dollars. - The ad fraud "scheme"
Our biggest take away from this episode is, know where your ads are going and how to control the placement of your ads so they don't get mistakenly caught up in ad fraud.